Stunning Triple silver bangle with beaded and square bangles. 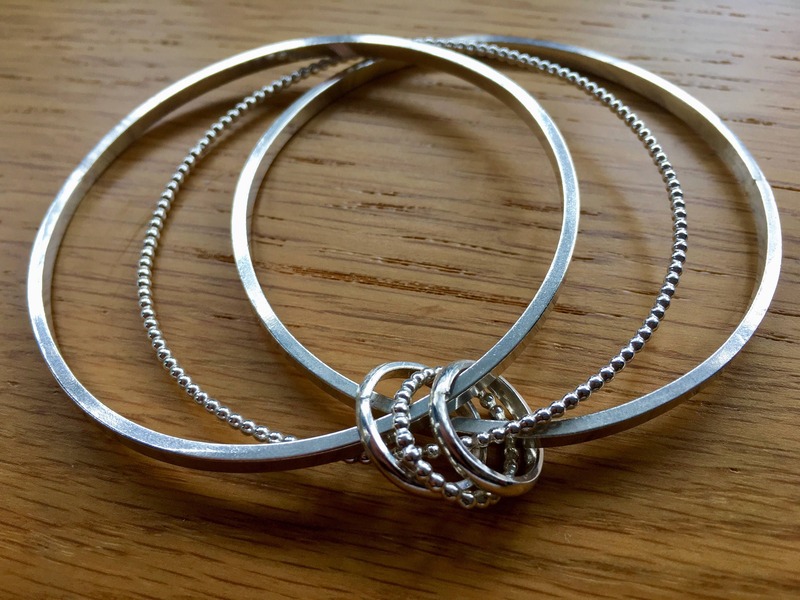 It was handmade using square wire for two of the bangles and beaded wire for the third, then joined with three of the same size joining rings, with two hammered rings and one beaded ring to compliment the design. 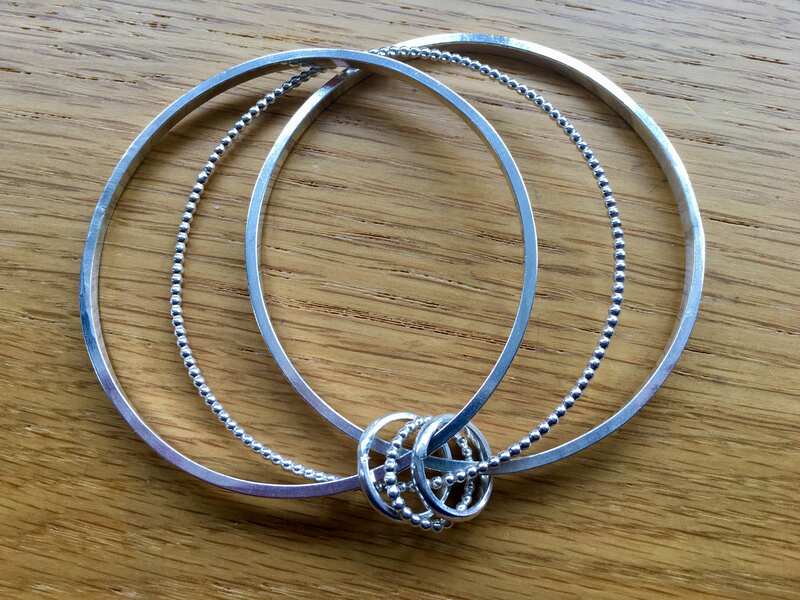 Each bangle and ring is made from sterling silver wire and individually formed around a round mandrel. They were polished to a mirror shine so that they sparkle and reflect the light. 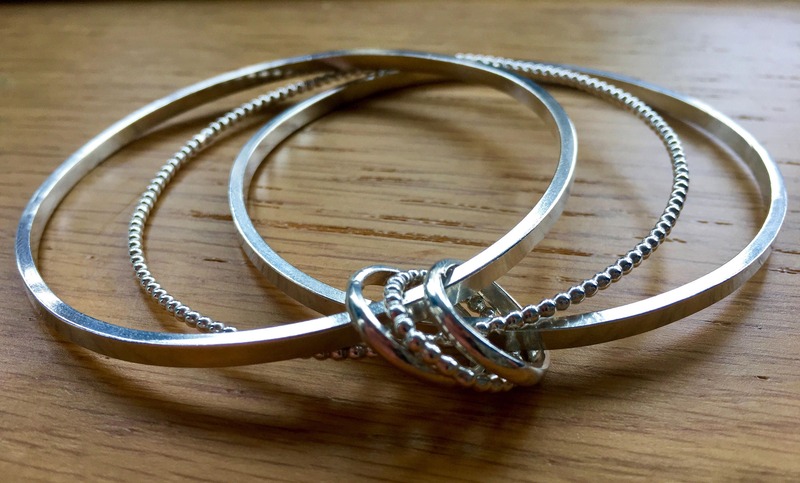 Together they make a stunning piece of jewellery, perfect for every day wear or special occasions. You'll never want to take it off! The bangle is laser stamped and hallmarked by the London Assay Office with my personal makers mark which shows the item was independently tested and verified to be sterling silver. The silver joining rings measure approx 1cm each.